Corporate classes are an excellent way to relieve stress, reinvigorate sitting bodies, and increase workplace performance. Classes can be held in any size workspace in chairs or in an open space on mats. Begin your workday clear and energized, or hit "refresh" mid-day with morning or lunchtime offerings. Need a way to unwind after an intense day on the job? 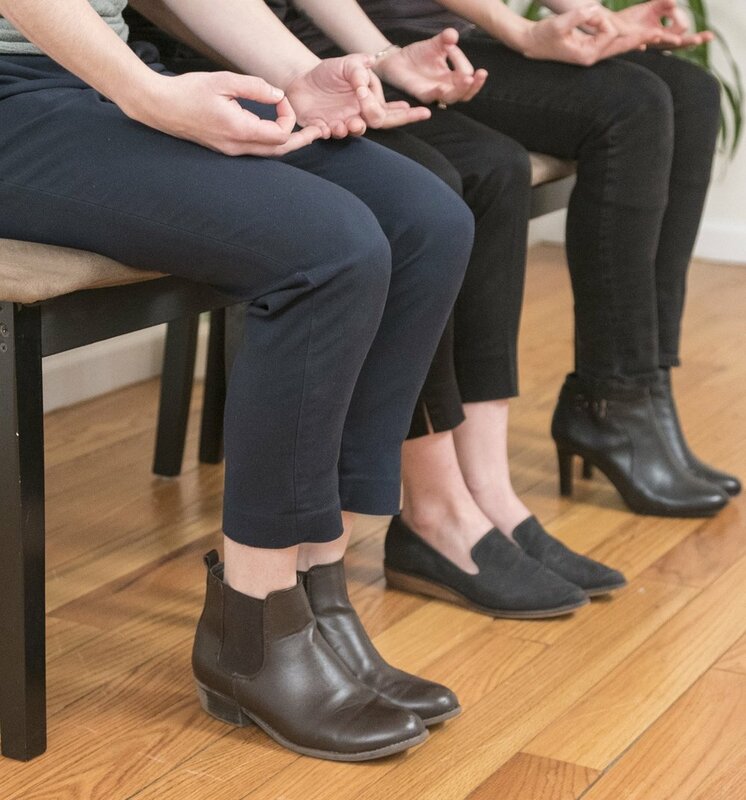 Book a Corporate Yoga or Meditation session today.